I am a great believer in doing things “differently”. If you have to produce exceptional results then doing things just like everyone else isn’t going to cut it. As a small business owner, one of the key ingredients to your success is the desire to be different. Let’s say that you are a newbie entrepreneur – low on investment, but dying to test the waters with your brand. Or maybe you’re an established business owner looking to reinvent your brand. How would you go about it? I can answer that question with just one word… Pop-up Retail!. “Pop-up stores”, “pop-up retail” or “flash retail” is all about going out of business in just a few days. Have I got your attention? By now I’m sure you think I’m out of my mind because going out of business in just a few days is every business owner’s nightmare. But I did start off by saying I believe in doing things differently, didn’t I? That’s precisely why I suggest business owners should pop-up for a few days and then disappear. First, an explanation. Pop-ups are businesses like restaurants, bars, clubs and shops that spring up in unexpected locations, stir up a storm, and disappear just as quickly. They are a reflection of the high-speed, short attention span that has become an intrinsic part of contemporary lifestyle and business. One of the most alluring things about the pop-up retail model is the customer curiosity that it arouses. Typically a pop-up is around for just a day or two, after which the store disappears, and may resurface a few weeks or months later in a different format. Human appreciation for an event or experience that is temporary is always higher than it is for something that is always around. Come to think of it as a child I couldn’t wait to go watch the circus, whereas a visit to the park could always wait. That’s because I knew that the circus would be in town for just a few days, but the park would always be there. Customer psychology is no different; people want more from a pop-up store, just because it won’t be around forever. An Indian entrepreneur who experimented with the pop-up model when he introduced authentic Japanese food stuffs in Mumbai felt the model worked very well. He said that people who originally wanted to buy just one thing ended up buying two or more things because they knew the store wouldn’t be around forever. They had to get their hands on the stuff while it lasted and that time was pretty short. 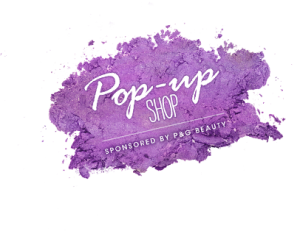 Pop-ups are a great way to pique consumer curiosity, and some business owners have taken that element one step further by keeping the offering a surprise up until the very last minute. Savoy Truffle Supper Club is the brain-child of Alison and Guv Tyler: a by-invite-only soiree for friends, based in London. The duo plays on the “impromptu” element by making each night at the club is unique. The menu – and even the venue! – can change at the last minute, but what doesn’t change is the stylish setting and the seasonal food. The best thing about the pop-up format is that as a business owner, you can alter whatever you want, when you want and in the way that you want. Using this element of pop-up retail is the key to piquing customer curiosity and drives up sales. As a business owner, you will often find that passion, drive and great products aside business mainly revolves around coping with financial constraints. Using pop-up retail is all about addressing the economics of running an establishment. Pop-ups can last for anything between a few hours, days or months. Setting up a pop-up helps business owners to save time, money, resources like physical office space, furniture, fixtures, equipment and salary. When compared to setting up a full-fledged office or store – which is a move that calls for considerable investment in fixed assets and attracts an amount of maintenance and working capital requirements – pop-ups are economical alternatives to setting up shop. Don’t make the mistake of seeing pop-up retail as only for small businesses, either; some of the biggest brands in the world have also used pop-ups to reinvent their brands for just a fraction of what it would have otherwise cost them. An example of this is Procter & Gamble’s (PG) New York pop-up store. The company set up a 4,000 square foot space without any cash registers simply because everything was free—including a full CoverGirl makeover and a Head & Shoulders wash and blow dry. The store drew 14,000 visitors in the 10 days it was open. Do the math with regard to per person contact cost – these are direct savings in advertisement expenses, manpower, and other resources that a mass media campaign would call for! Pop-ups thus represent a whole new selling experience, as they egg people on to experiment with your product until you set up a full-fledged store. For the “try before you buy” types, pop-ups are a great shopping experience. In cash strapped times and economic downturns, and in markets where buyers are not really open to trying new things, pop-up retail is a business mantra that enables new businesses to carve a niche before they take the plunge. For instance Bandit Queen, an uber-luxe home décor store created a pop-up during Diwali, the Festival of Lights in Mumbai last year. The objective was to highlight their unique “glow-in-the-dark” bed linen collection. Their pop-up even had an interesting name “Verandah in the City”. Using the pop-up format served two purposes: showcasing wares, and as an arrangement for tiding over customers till their new store opened in Lalbaug, Mumbai. Another established brand which has used pop-up retail to create a lasting impression is Levi Strauss & Co. The company whose name has become synonymous with denim tweaked the pop-up model to set up a “workshop” at a former art gallery in Manhattan’s SoHo district. The workshop spread over 10,000 square feet of bright white space, and was furnished with benches made from cargo pallets. It focused on the art of (pre-digital) photography; visitors could rent vintage cameras and sign up for free classes. What was a denim company doing promoting cameras and photography? The answer is that they were carving a niche of a different sort, as the theme for the workshop was in line with the denim maker’s “Go Forth” advertising campaign, a celebration of craftsmanship and collaboration that featured scenes of regular folk rebuilding a Rust Belt town. According to the company the pop-up drew about 3,000 visitors per week. So did it serve its purpose? They say that success is exposure, and 3,000 people per week who are talking, texting and tweeting about their experiences would do a lotto help Levi Strauss carve out this new niche. Table Space. Setting up a table gives you just enough room to display a limited variety of your wares. Renting table space at exhibitions and even flea markets is easy and inexpensive. Temporary Stall/Kiosks. These are the kiosks that spring up everywhere from time to time. The sheer flexibility of these temporary stalls/kiosks is that you can set them up in different parts of the city at different times and gain visibility among different types of customers. Local Fairs or Village Markets. Sign up for a stall or table space at a local fair or village market; this is an inexpensive way to make your presence felt, simply because of the number of people who come out to see what’s on offer. Brands on Wheels. Another option is to travel with your wares at different places during the week or month in your own car or van. Alternatively, you could start on your own premises, and then head out to a friend’s home/lawn/terrace space, followed by the local fair… all in the span of a few days. Going out of business in just a few days doesn’t sound like such a bad idea after all, does it? 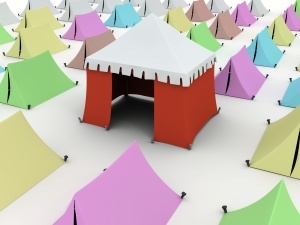 Pop-up establishments are a great way of making inroads in to an already crowded retail space. Definitely worth a shot if you are a small business owner struggling with the 3 C’s… curiosity, costs and carving a niche. What do you think? Have you experimented with pop-up retail? Are you planning to? 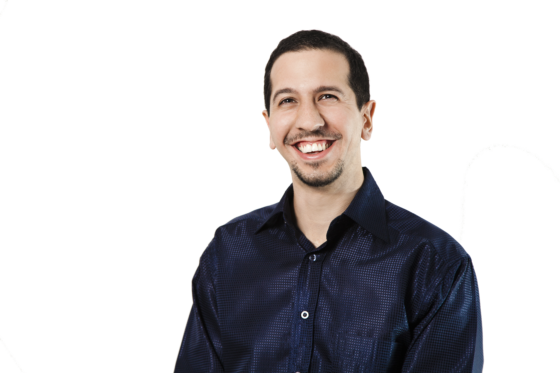 Previous Post » Interview: Does a company have to be big to be great? Nice! I really love this. You know I immediately thought of some online marketers who do this. They provide a service/program for a few days, then take it down. Still, the physical store is a nice idea. Great stuff! Thanks. I’m glad you like the idea of the physical store. Eye opening idea for sure. My sister and brother-in-law are moving their family business… because the gas company is getting the building from the owner in an eminent domain purchase, flattening the entire building. I’m wonder now how I might help them out with this idea. I’ll think on this!! Seems brilliant. Thanks. Thank you! Hi Cynthia, they could try renting out a small store/kiosk/temporary space suited to their needs in the interim period. I think there are many positives and negatives to doing this. Although I agree that scarcity is certainly a great way to increase demand for a product and diversity can be a good strategy for some businesses, I don’t think that this business model is appropriate for everyone. Although Procter and Gamble saved money in certain ways, what about the cost of hiring 4,000 sq feet of space and giving away loads of free stuff? How many companies have the capital or resources to do that? There is also the problem of alienating existing customers and getting new ones in a short space of time. I don’t understand how rapid entry into a market will cause a spike in demand if no one knows who you are. I do agree that in principle it’s great and will work for some people better than others. I think companies need to take many factors into account before implementing this strategy. Hey Robert, you’re right that it’s not right for everyone, but it’s not just about creating a sense of scarcity – it’s actually a question of minimizing costs. The question isn’t “what was the cost of hiring 4,000 sq feet of space for a week”, but rather “how much did they save by renting the space for a week, rather than for a year”. Likewise, they may not be able to sustain giving stuff away for that long, but for a short while, it was sustainable and built lots of buzz. A lot of projects can have very high costs to build in terms of infrastructure, and the idea here is that you save on infrastructure because you aren’t building something permanent. That being said, you’re right that if nobody sees you, there won’t be a spike of demand – this is a way of testing the waters at lower costs, not a magic bullet that bypasses the need for marketing and exposure. A good example of this in the online world is that instead of spending lots of time and money building a training program or membership site, you can setup a paid webinar, to see if people are willing to pay for this sort of information. I know exactly what you’re saying Danny, and you make some great points. My point is that these “pop ups” could work out more expensive if they do not cause a spike in demand, particularly in crowded markets with many established competitors. Establishing credibility and a good presence in some markets can take years. I meant to mention this in my initial comment: This method can be very effective in the online world, providing people know how to market and get exposure, AND already have initial exposure in their longer term sites, products or email lists. The online market is great in the sense that anyone that knows what they are doing can do a ridiculous amount of market research on the internet for free. But yeah, any testing that can be done at minimal costing is good. But there needs to be a critical mass present in certain areas before any of these strategies would work. I still like the idea, particularly for someone who is already established to try something new out. For the right type of products, the 4 tips that Miriam gives at the end can be very effective. I think that only certain business owners are cut out for this. Every business owner needs to be adaptable and dynamic today, no matter what they sell. I think that this could be a great method as long as it did not cause them to deviate from their overall business strategy too much – purely because it’s more of a “testing” and “short term” strategy. I hope no one takes my comments the wrong way, I just think that this strategy needs a huge amount of consideration before being used. I’m not taking you the wrong way, and I really appreciate your comment – discussion is important, because there are no universal truths as applies to tactics – there is nothing that is always the right thing to do, and it depends on circumstance; it’s discussions like these that lead to a deeper understanding, which is good for everyone. I agree with you about the importance of focus, as well – but I think that this is the perfect sort of thing for the business owner to give to someone internal to manage (provided the bandwidth is available). That’s good, yes discussion is very important to deepen our understanding of things and help us listen to other people’s points of view. You’ve made some very valid points. Every strategy, not just the one entailing using pop-ups has it fair share of perks and pitfalls. The pop-up retail model is no different. Yes…its not something for everyone and the examples of the big companies that have used the model to their advantage only serve to highlight that a pop-up is not something to be frowned upon if the company is big. The point is how the model was used by the company. As far as a pop-up turning out to be too expensive…it depends on how you look at it. I don’t think it would work out to be more expensive then going all the way and investing in a store, employng people and the rest that goes in to a permanent set up. In the end…this strategy like every other one needs careful consideration before one uses it. I agree! Hey Mariam, thanks for getting involved in this discussion. That’s very true, I just noticed some pitfalls but there are definitely significant advantages to the right business that uses this in the correct manner.It does completely depend on how you look at it, it’s just I don’t see a pop up as a sustainable business model unless it is used as a separate “arm” of an existing company. It can definitely be a great way to test a market and create scarcity, particularly if the company is considering diversifying but really wants to “test the water”.Definitely, every strategy needs careful consideration. You could experiment with it if its suits your business goals and objectives. You gave examples which make this a credible and enjoyable read! The PG story fascinates me, I think their use of the pop-up model is brilliant (and I’m not just saying that because I’m an investor). I like this concept because it enforces the scarcity rule. Less supply and watch the demand go up – plus, nobody likes the feeling of something being taken away. Thanks. Yes, pop-up retail does enforce the scarcity rule. While its not everyone’s cup of tea it is great for those who want to save money, pique curiosity and test the waters! I do agree that if you really want to your chosen career or business you need to be unique for your target customers will know about you immediately. You need to do something that can leave a mark to people’s mind so that they can remember you and your business. Very cool idea. Lots of benefits of trying out a new idea without a big commitment up front. Great business strategy…but might need a lot of planning though. hello.. really nice to see this niche,this is really intresting. I am a student doing my studies in marketting and this is a great branding strategy.. need to do somethink that is different in order to survie and get a name of ur business,u need to put ur head out of cloud and think in broader perspective and thinking outside of the box will really help your business.i will make a pop up store if i get some money to invest really its cost effective..thanks for the wonderful article..
Robert: I don’t know why my message to you stopped working & was sent to you in the middle of what I was saying, I’m not too experienced with computers & I probably clicked on the wrong key. So, here is the continuation: all but 1 booth in 10/2012 & I closed the last booth in 1/2013. So, now I just sell by eBay & I do enjoy the different activities of taking the pictures & transferring them to my computer & uploading them into the listing, writing up the listing info & re-membering all of those great estate sales I went to for soo many years, doing searches on eBay about items for sale which are similar to mine, getting messages from customers & writing back to them, making sales, leaving feed-back & the excitement of getting great feed back about the item my customer bought, etc., etc., etc. I just wish I had more energy to list more items every day & maybe your ideas & your books will give me the incentive I need to do this. I know your books will be a GREAT help to me & I look forward to getting them. If you have any other free books regarding selling/marketing, please send those also. The info you show below about “How to Build Personal Brand – 3 factors to Focus On, Noobpreneur Business Blog – 4 Reasons Why a Pop Up Shop Can Help Your Small Business Stand Out & Biz Penguin, would be great info to have, so if you could please send them to me as well, I would really appreciate it. I need all the help I can get & I will be very grateful for your assistance. As I mentioned, I’m not too experienced with computers, so please have patience with me while I ask a stupid question about how the books will be sent to me. Will you be sending them via e-mail? Thanks so much for your help & I look forward to learning from you & I hope you don’t mind if I contact you again.